The Jarvis Model VC – for the cutting out of beef bungs. 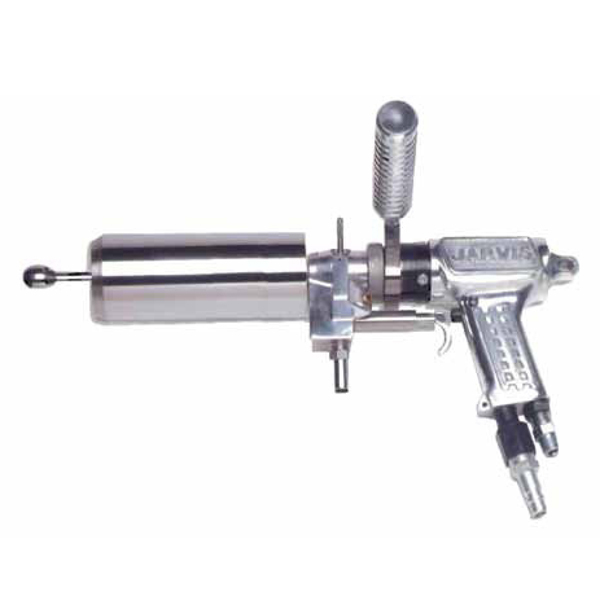 • Reduced cross bung contamination due to a unique head design with a vacuum relief valve and internal wash.
• High torque pneumatic motor for quick and clean beef bung removals. • Fast – a single operator can bung up to 200 beef carcasses / hour.